“Silent Sky,” the amazing story of a group of women who crunched massive amounts of astronomical data at Harvard Observatory at the turn of the twentieth century, to open March 30, at WSU. PULLMAN, Wash. — Spanish quartet Las Migas will perform their signature blend of flamenco and Mediterranean music 7:30 p.m. Wednesday, Nov. 1, in Washington State University’s Jones Theatre. PULLMAN, Wash. — High school students from central Washington will share stories of their own life joys and struggles in a performance entitled “Las Memorias,” 7:30 p.m., Wednesday-Friday, Aug. 16-18, in Daggy Hall’s Jones Theatre. PULLMAN, Wash. – Celebrating world folk music traditions from Bulgaria to Brazil and Japan to Africa, the vocal quartet Women of the World will perform at Washington State University at 7:30 p.m. Wednesday, March 22, in Daggy Hall’s Jones Theatre. PULLMAN, Wash. – The Reduced Shakespeare Company will career through 600 years of history in 6,000 seconds when “The Complete History of America (abridged): Election Edition” comes to Washington State University at 7:30 p.m. Thursday, Oct. 13, in Daggy Hall’s Jones Theatre. PULLMAN, Wash. – Radio play will meet comic book when “The Intergalactic Nemesis: Target Earth,” the world’s first live-action graphic novel, comes to Washington State University at 7:30 p.m. Thursday, April 28, in Daggy Hall’s Jones Theatre. 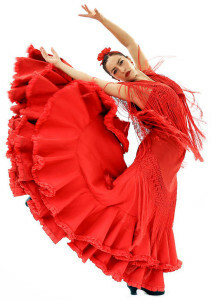 PULLMAN, Wash. – One of the premier flamenco and Spanish dance companies in the country will present a concert of live music, song and dynamic dance at 7:30 p.m. Friday, Nov. 13, in Jones Theatre in Daggy Hall at Washington State University. PULLMAN, Wash. – In association with Young Audiences New York, WSU Performing Arts will present the Literature to Life® stage presentation of “The Kite Runner,” by Khaled Hosseini, at 7:30 p.m. Wednesday, March 11, at Washington State University’s Jones Theatre. The show is recommended for ages 14 and older.